Electric Cars By Range #Infographic ~ Visualistan '+g+"
Titleproloans has created this visual electric car range comparison to show exactly how far these vehicles will go and how long you’ll have to charge them before they can travel again. As of 2017, the cars with the longest range have been made by Tesla. 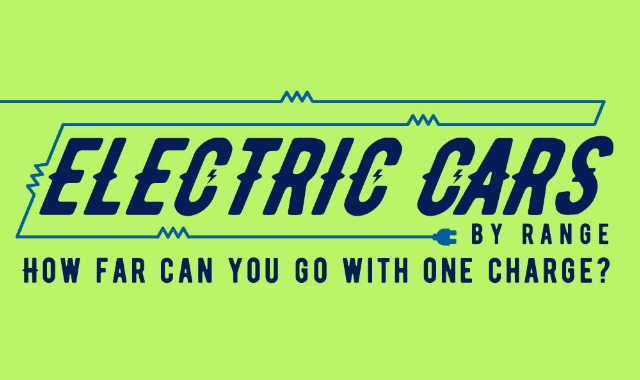 Car range might be only one factor to consider along with costs and number of passengers, but our electric car range comparison should help you understand what often worries buyers the most. In the end, though, it’s important to remember that 90% of all household trips in the U.S. are within 100 miles, so the range of electric cars might not be as big a factor as you think!